The Forum on NGO Participation in the Work of the 50th Ordinary Session on the African Commission on Human and People’s Rights and the 24th African Human Rights Book Fair, organised and facilitated by the African Centre for Democracy and Human Rights Studies and in collaboration with the African Commission was held at the Kairaba Beach Hotel, in Banjul, The Gambia from 19-21 October 2011. The Forum brought together about 215 participants and facilitators (119 males and 96 females) coming from 35 countries in Africa and included 24 participants from 9 countries in Europe, namely Belgium, Denmark, France, Germany, Ireland, The Netherlands, Spain, Switzerland and the United Kingdom; and 5 from United States of America and Canada respectively. The participants and facilitators were generally from Non-Governmental Organisations, representing coalitions and networks together with a few representatives from National Human Rights Institutions. Some Commissioners of the African Commission contributed to the discussions at one point or another or sent in representatives to present on their behalf on issues of interest during the plenary sessions and the Special Interest Working Groups. These included presence of the Chairperson of the African Commission; the Special Rapporteur on Prisons and Places of Detention and Chairperson of the Committee on the Prevention of Torture in Africa; the Special Rapporteur on Human Rights Defenders; and the Special Rapporteur on Refugees and Internally Displaced Persons and Chairperson of the Working Group on Death Penalty. Two new Commissioners to be sworn in at this session, namely Mr. Pacifique Manirakiza and Mr. Med Kaggwa participated at some point. Their presence was very much appreciated by the participants. The three-day activity was declared open by Dr. Kolawole Olaniyan, the Legal Adviser, International Secretariat of Amnesty International, London, represented by Mr. Noel Kututwa, who delivered the keynote address. Various representatives including the Chairperson of the African Commission on Human and Peoples’ Rights (ACHPR), Hon. Reine Alapini-Gansou; the Chairperson of the Governing Council of the African Centre for Democracy and Human Rights Studies (ACDHRS) and former Commissioner, Mr. Andrew Chigovera; and a representative of the NGO Forum Steering Committee, Ms. Corlett Letlojane from HURISA made statements at the opening ceremony. The Honourable Attorney General and Minister of Justice of The Gambia, Mr. Edward Anthony Gomez graced the occasion and gave a goodwill message. Mrs. Hannah Forster chaired the opening ceremony. As usual, the programme was guided by the provisional agenda for the draft 50th Ordinary Session of the African Commission circulated prior to this meeting and prepared in consultation with participants of the Forum, the NGO Forum Steering Committee and the Secretariat of the African Commission respectively. New Developments in the human rights and democracy situation in Africa: As a way of updating the Forum, this session continued highlighted the state of human rights and democracy in Africa as well as the rights of specific groups. An overview as well as sub-regional situations were dealt with by the facilitators. The implementation of the Charter was used as a basis to measure progress made, challenges faced and propose the way forward in these presentations. Presenters and Participants agreed that the African Charter on Human and Peoples’ Rights was unique in that it does not have a precedent. It was noted that despite the initial challenges, the Charter has through the African Commission and the constant engagement and vigilance of its partners have exceeded all expectations. The Charter provided a common normative framework invoked by civil society, governmental and inter-governmental institutions alike and there remain an important source of inspiration to all individuals and groups concerned with the promotion and protection of human rights in Africa. It was observed that the Charter is now embedded in the human rights architecture of Africa and has inspired a wide range of other treaties, protocols and declarations, including the Protocol on the Establishment of an Effective African Court; the Protocol on the Rights of Women in Africa; Solemn Declaration on Gender Equality in Africa; Declaration of Principles on Freedom of Expression in Africa; the Robben Island Guidelines, among others to build on and deepen the provisions of the Charter. Participants noted with satisfaction that the main implementing institutions, the Commission and the Court have harmonised their rules of procedure and collaboration set out. 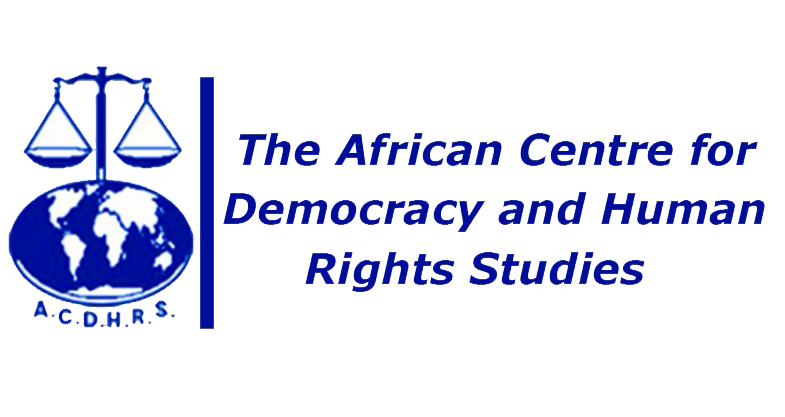 Although the Charter and its implementation by the African Commission has not been able to stem the tide of human rights violations, its implementing body has endeavoured to address the numerous human rights violations confronting the continent. In spite of the challenges faced, including the lack of resources and lack of political will in the domestication and implementation of the Charter, among others, the Forum noted that the case-law and jurisprudence developed on civil and political rights, so far is an indication of the prospects for the future. While acknowledging that Economic, Social and Cultural Rights has not received as much attention, the existence of the just concluded Guidelines on Economic, Social and Cultural Rights, opened new frontiers. Some of the recommendations highlighted the need for the African Commission to urge State parties to universally ratify the Protocol to the Court; to enforce human rights at the national and regional levels and to also sign the declaration granting access to individuals and NGOs. It was observed that for the Charter to remain relevant for yet another 30 years ‘African leaders must take their obligations and commitments to establish an effective and accessible African Human Rights Court very seriously’ opined Dr. Olaniyan. The role of civil society was emphasised as being critical to the process of raising concerns and promoting the human rights norms contained in the Charter. Noting the limited knowledge of the Charter by the populace for whom it is intended, that Forum underscored the need to empower Africans by expressing their readiness to collaborate in popularising the Charter and all other instruments that compose the African Human Rights System. The need to ensure the ratification and implementation of the African Charter on Democracy, Elections and Governance was also reinforced and requested the African Commission to urge States to facilitate the entry into force of the Democracy Charter by universally ratifying, thereby guaranteeing its entry into force. In so doing, they will be contributing the principled stances of the AU, from non interference to non indifference, a standard also outlined in the AU Charter. Consequently, the progress made by some states was acknowledged, the continuing deterioration of others due to conflict and failure in constitutional obligations were illuminated for further consideration. Updates were received on the situation in many African countries which led to adoption of thematic, country resolutions and recommendations as listed below. In celebrating, panel discussions on Economic Social and Cultural Rights was given much attention as an introduction to the just concluded guidelines by the Working Group set up by the African Commission. Furthermore, Housing as a right and exploring the issue of forced evictions gave much insight into the plight of Africans in certain countries, namely Zimbabwe, Chad, Kenya and Nigeria. The Forum proposed that the rights of persons with Disabilities as well as that of other vulnerable groups be mainstreamed when it came to the formulation of resolutions and recommendations. In line with the objectives of the Networking for Human Rights in Africa session, which was geared towards the provision of more information and interaction between the three main partners i.e. The African Commission; States; and Civil Society, in the development and maintenance of an effective human rights community, the Forum explored the potential of the sub-regional group in contribution towards the work of the African Commission. Opportunities for networking with the African Commission and NGOs were examined to examine the implementation of the Charter in their regions and to consolidate on the strategies for effective collaboration between these groups with a common goal of promoting and protecting human rights in Africa. The sessions were well attended and were exemplified by vigorous participation and productive exchanges of information and experiences coupled with a high sense of responsibility. Participants approached their work with accustomed sense of purpose and objectivity. We recognized the progress made by the Special Mechanisms to address various human rights issues of common concern to the human rights community. The Forum on the Participation of NGOs in the 50th Ordinary Session of the African Commission on Human and Peoples’ Rights was declared closed by the Mr. Roger Bouka, a Legal Practitioner and Secretary General of the Fédération Internationale des Droits de l’Homme. Other speakers at the closing included Ms. Paulette Nyane-Ondo, representing the NGO Forum Steering Committee, Mrs. Hannah Forster, Executive Director of ACDHRS and Chairperson of the NGO Forum Steering Committee; and Hon. Commissioner Reine Alapini-Gansou, Chairperson of the African Commission on Human and Peoples’ Rights. A vote of thanks was made on behalf of participants by Ms. Mariam Kamunyu, FIDA-Kenya. The ceremony was chaired by Mr. Andrew Chigovera, Chairperson of the ACDHRS Governing Council. On behalf of the Forum, Resolutions and Recommendations have been formulated and are hereby forwarded, to the African Commission for their kind consideration and as the contribution of civil society in Africa, and particularly of those NGOs with observer status with your august body. The Forum took the liberty of reviewing some of these resolutions and recommendations from the previous Forum. Copies of these resolutions and recommendations, as well as the Declaration on the 30th Anniversary of the African Charter will be forwarded to the Secretariat of the African Commission, in the original language of drafting, for onward transmission to the Commissioners while attempts will be made to read them under the relevant agenda item by representatives of the various Special Interest Group. Furthermore, it will be circulated to interested parties and partners as outcomes of the Forum. A full report will ensue.